All meals, teas & coffees, drinking water. Gorilla permit, soft & alcoholic drinks, transport to/from gorilla trekking, laundry, gratuities to driver/guides and staff, all items of a personal nature, telephone calls and curio shop purchases, medical insurance. All meals, activities, local soft and alcoholic drinks, transport to and from Gorilla trek, and laundry. 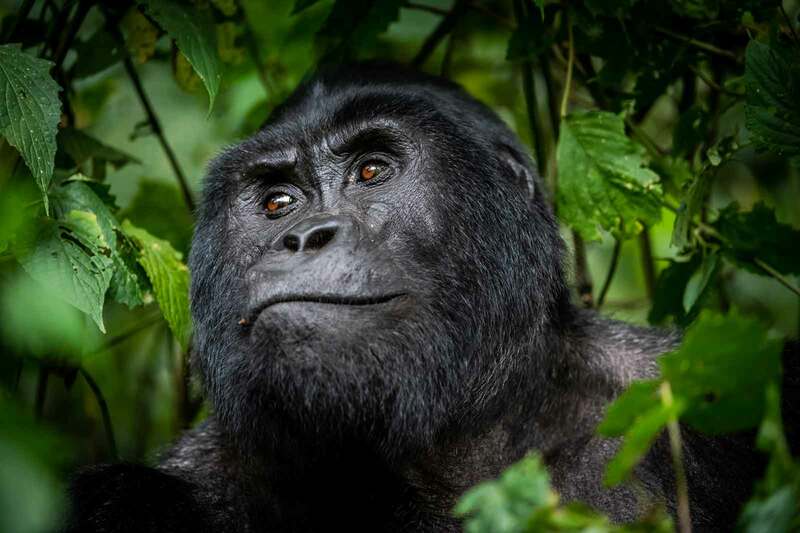 The activities included in the fully inclusive rate include the Gorilla trek at Rushaga Sector (excluding permit), and one other activity per day. Activities to choose from include a community walk, visit to the local Rushaga Batwa (Pygmy) Village, Nature Trails from the lodge to the various nearby lakes. Gorilla permit, premium international drinks, gratuities to driver/guides and staff, all items of a personal nature, telephone calls and curio shop purchases, medical insurance. The gorilla permit costs US$600 and a US$25 service fee. This is per person per trek and excludes porter fee and tipping/gratuities for the guides. Permits are at the Rushaga Sector. Should these be sold out permits can be purchased for the Nkuringo Sector which attracts a surcharge of $150 per 4 people for the additional transfer to the start. Gorilla Habituation Permit costs US$1500 and a US$25 service fee - per person. Golden Monkey Trekking Permit costs US$100 and a US$15 service fee - per person. Golden Monkey Habituation Permit costs US$140 and a US$15 service fee - per person. Booking the Honeymoon Suite includes a bottle of red wine in the room on arrival, breakfast in bed (if required), a private dinner on the grounds of the lodge. We charge US$10 per person for a single room for drivers including food. Driver accommodation consists of a standard single bed with mosquito net and clean bedding in new single rooms for drivers. Basic toilet and shower facilities are available. We can accommodate up to 4 drivers in single rooms, any additional drivers will have to share. All drinks are extra. A 3rd adult sharing a chalet with an additional bed will pay 75% of the adult rate. Rates are quoted in US$. The below activities can also be booked at the lodge. Prices below are per person.